India’s economic ascent has launched a flurry of books, most of them touting neoliberalism’s power to not only propel the country out of poverty but to chase away its unsightly caste and class divisions, its nasty penchant for pogroms and female feticide. 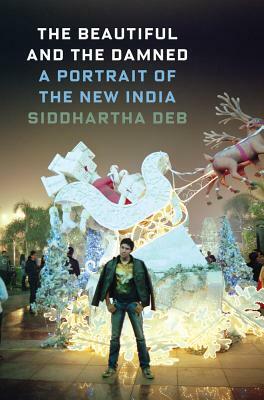 Siddhartha Deb’s very fine The Beautiful and the Damned tells a darker story, focusing on the boom’s seamy side: the scoundrels and profiteers, and the millions of farmers and migrant workers crushed beneath the juggernaut of “progress.” “The modernity of India,” he writes drily, is “an ambiguous phenomenon.” His point is that even as India has seen an increase in middle-class “aspirers,” “the poor have seen little or no improvement,” and he makes the argument with singular ease. Much of his reportage—on India’s villages, “cyber-cities,” and luxury malls—is done on foot, and his book possesses a gait of its own, achieving a contemplative, rambling rhythm that absorbs passing sights and sounds into anecdote, knits anecdote into analysis, and then analysis into advocacy. With each chapter, Deb descends one rung down into a lower socioeconomic class, turning up stories too grim, too at odds with the national narrative of progress, to make it into India’s mainstream media. In the boom’s heyday, between 1995 and 2006, he writes, two hundred thousand debt-ridden farmers committed suicide. Another four hundred million farmers—one-fourteenth of the world’s population—stand to be displaced. Seventy-seven percent of the population survives on fifty cents a day. The Beautiful and the Damnedhumanizes these statistics. Deb immerses himself in villages and slums, squats in the barracks of a steel factory, and struggles to earn the trust of the wary and exhausted workers (“I was so well fed and well rested in contrast to them that I might as well have come from another planet”). The Beautiful and the Damned does lack a coda. It doesn’t end so much as peter out. The book deserves a conclusion as fully realized and harmoniously composed as each of its chapters, something that suggests the implications of—and resistance to—such lopsided growth (and something that elaborates on Deb’s occasional intriguing offhand comments, such as that “slow, stubborn activism [is] as much a story of the new India as the frenetic milieu of the call centre workers”). Still, this brave book strikes a rare note—as a work of journalism and as an interpretation of India’s maladies. The Beautiful and the Damned digs beneath the self-congratulatory stories India tells itself—all the better to expose the stories it seeks to repress. I was very pleased to find this web-site.I would like toI am often to blogging and i really appreciate your content. The article has really peaks my interest. I am going to bookmark your site and keep checking for new information.